Susan Klopfer lived on the grounds of Mississippi's Parchman Penitentiary for two years, spending most days driving around the Delta and collecting civil rights stories from nearly forgotten sources. She spoke with local people who were involved or who watched the drama unfold from the sidelines -- like the mortician's assistant who prepared young Till's body before it was shipped home to his mother for burial. The rebuilt shed outside of Drew, Miss. where young Emmett Till was beaten, brutalized and shot before his body was dumped into the Tallahatchie River near Glendora. Release of the first audio book of the Emmett Till story - Who Killed Emmett Till? - is set for January 15, in time for February’s Black History month. The story of Till, a 14-year-old Chicago boy killed in the Mississippi Delta in the summer of 1955, has resurfaced as the FBI continues to focus on this and other cold cases from the modern civil rights movement. “Emmett Till’s lynching sparked the modern civil rights movement. There are many people who still do not know this important story and this audio book will help fill the gap,” Susan Klopfer, the book’s author, said. While visiting the home of his uncle, in the small cotton town of Money, Emmett Till, his cousin, and several other black youth went into the town’s general store. What actually happened is still disputed, Klopfer says, but according to several versions, Till was dared by one of the other boys to flirt with white store owner’s wife, 21-year-old Carolyn Bryant. “Some accounts state he whistled at her while others say he grabbed her hand and said ‘Bye, baby,’ as he left. But other stories still linger, too. One woman told me that her mother said Emmett was just whistling for Bryant's dog to come." At about 12:30 a.m. on Sunday, August 28, Till was kidnapped from his uncle’s home and taken to a weathered shed on a plantation in neighboring Sunflower County, where he was beaten and shot. A 70-pound cotton gin fan was tied to his neck with barbed wire to weigh down the body, which was dropped into the river near Glendora, another small cotton town north of Money. Till’s corpse, surfacing three days later, was returned to Chicago where his mother decided it should be publicly displayed to show the world the brutality of the killing. An estimated 100,000 people viewed the open casket, bringing worldwide attention to racism in the United States. Till was buried Sept. 6 in Burr Oak Cemetery in Alsip, Illinois. Less than three weeks later, on Sept. 23, the men accused of killing Emmett Till - J. W. Milam and Roy Bryant - were found innocent by an all white jury, after 67 minutes of deliberation. Twelve weeks after the acquittal of the two men, who later confessed to the murder in a national magazine, Rosa Parks decided to sit at the front of a city bus in Montgomery, Alabama. “She was not the first activist to make this move. There had been other attempts. But Parks had been planning her personal protest, and along with the NAACP knew the right time had arrived,” Klopfer said. There had been two recent murders of black citizens, shortly before Till’s visit to the Delta. Rev. George Lee and Lamar Smith were shot to death, their murders instigated by anger over increased voter registration activities and by the United States Supreme Court’s 1954 landmark decision, Brown v. Board of Education of Topeka. Brown I declared racial discrimination in public education unconstitutional and a second decision, Brown II, ordered one year later that desegregation occur "with all deliberate speed." Who Killed Emmett Till? covers this entire time period and comes from a unique perspective. 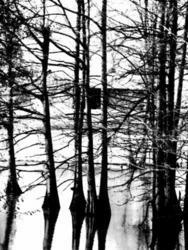 “My husband and I moved to the Mississippi Delta in 2003 and one year later, the Till cold case was opened. Because Fred was a prison psychologist, we lived on the grounds of Parchman Penitentiary, a notorious place with a fascinating history. Hedquist Productions, a Libertyville, Iowa group, recorded and produced the 6-CD set. “I’m really delighted at the quality of their work. The audio book was read by Jeffrey Hedquist, a well-known voice talent whose work is associated with projects by St. Martin’s Press, Chicken Soup For the Soul and many other well known organizations,” Klopfer said. “Hedquist has won over 700 awards, including most of the big awards – from Clio, IBA, ADDY, Hatch, New York International, Sunny, Silver Microphone, Mobius, RAC, London International, ANDY, EFFIE, The One Show, and hundreds of regional awards,” Klopfer said. Who Killed Emmett Till? - featuring the regional music of the delta blues - is set for distribution in major online bookstores and in selected regional, independent bookstores. 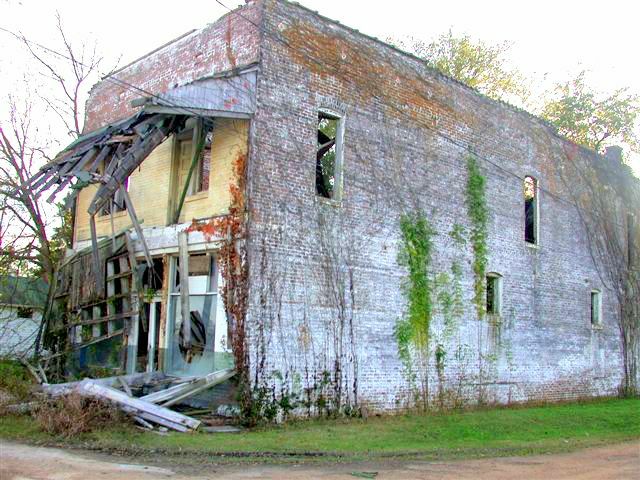 History Fading ...The Bryant grocery store in Money, Miss. has fallen out of repair over the years. Birdia Keglar Memorial HighwaySection of highway near Charleston, named in honor of civil rights activist, Birdia Keglar. 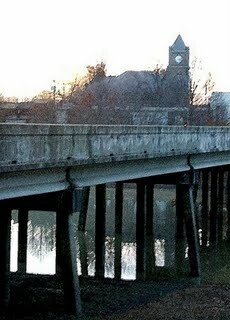 Sumner, MississippiBridge across the Cassidy Bayou in Sumner, Miss. where the trial was held of Milam and Bryant. See courthouse in the distance. 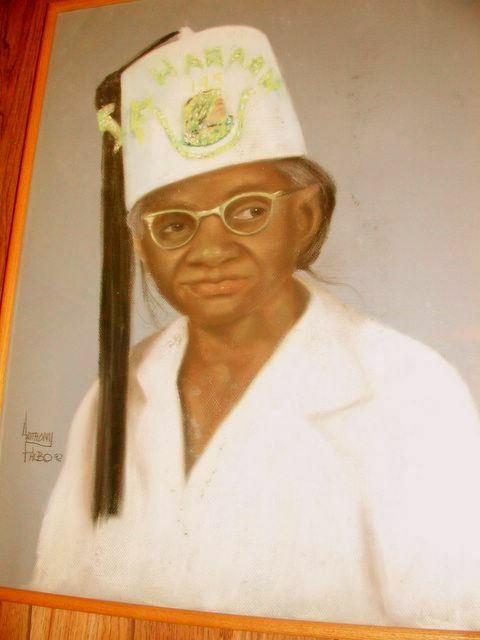 Birdia KeglarBirdia Keglar was the first black person to vote in Tallahatchie County following Reconstruction after the Civil War. She and a friend, Adlena Hamlett, were killed coming home from a civil rights meeting when their car was forced from the town of Siden in Leflor County, a noted Klan stronghold. 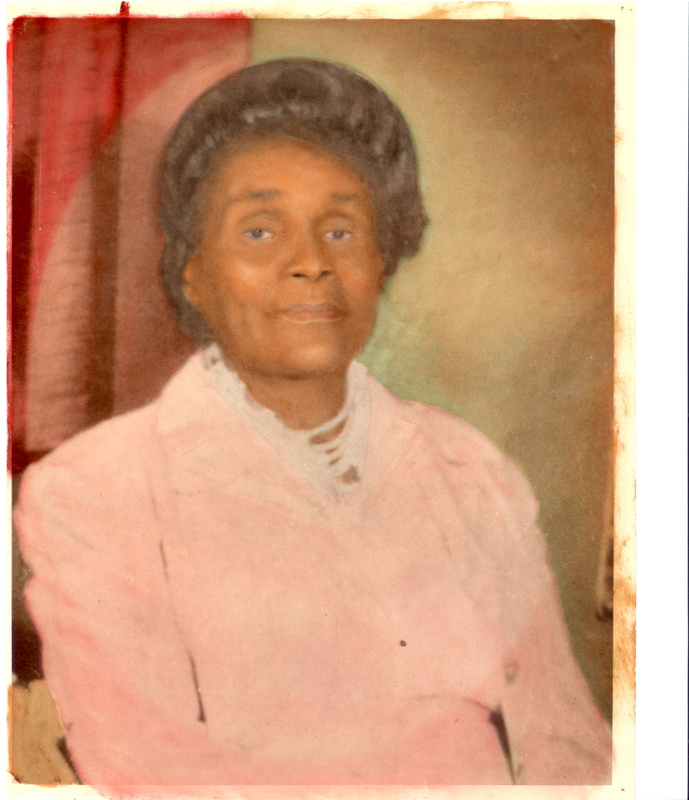 Adlena HamlettAdlena Hamlett, a retired school teacher, was a voting rights advocate in Charleston, She and her friend, Birdia Keglar, were killed coming home from Jackson, Miss. Hamlett was hanged in effigy, several months before she was killed. Cleve McDowell, murdered in the Land of TillCleve McDowell, left, stands in the cotton dust with Rev. 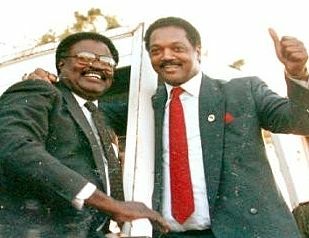 Jess Jackson who was helping him campaign for office. McDowell was murdered in 1997 after years of collecting information on mysterious Delta murders, including the Emmett Till lynching. His files and guns were removed from his office soon after his murder. McDowell was born two weeks apart from Till and grew up in Drew, the town where Till was murdered (on the outskirts) in 1955. McDowell kept contact with Mrs. Till.